Living just on our wages and salaries is not enough to be financially stable in life. So we need to save money regularly to meet our future needs. We can’t escape getting essentials like groceries, furniture, gas for our cars, and many other items. And with that said, it’s a smart move to shop for what we need and save at the same time. 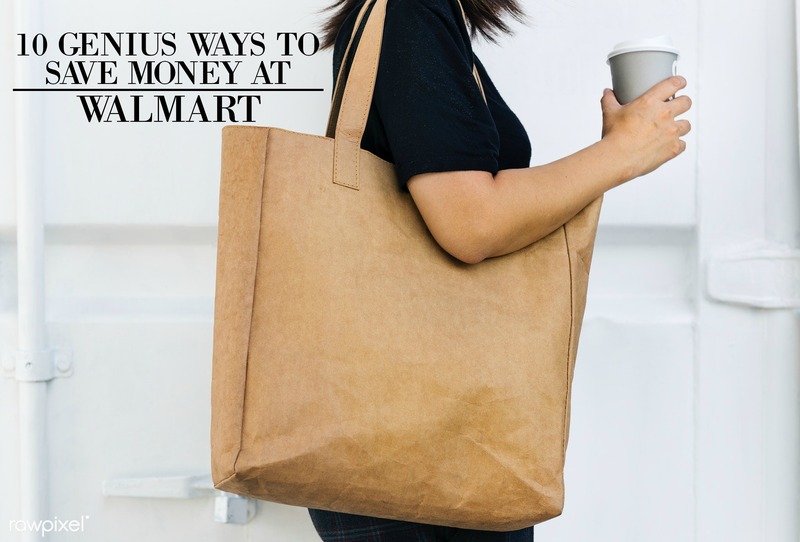 So here are some of the best ways to save money while shopping at WalMart. Simply put, if you can show them that you can get the same item from another store for cheaper, they’ll match the price. AND the cashier will look up the item for you (so you don’t need to bring in the ad). Once you know your secret markdown codes, it’ll be easier for you to tell if the price of an item will still go down. Then you will be able to know if you should wait or buy right then. If you purchase a less expensive item, you will have to pay a shipping fee. So just ask Walmart to send your item to the store in your neighborhood so you can pick it up yourself and save some cash. You can always check sites such as Swagbucks, Ibotta, and Ebates for different percentages of cash back on some of the goods sold at Walmart. While going to the store, you can check Jet.com and Walmart.com to compare prices of goods and pick the one that offers the item at the lowest cost, then make your purchase. If you notice that the price of a particular product drops and the return window hasn’t ended, you can at any time ask for a price adjustment for the product from Walmart. Better still, you could sign up for Paribus to watch price reduction of any purchased products, and it will help you automatically request for price adjustments. You can easily request for a credit card from Walmart if you shop there regularly. And with that, you can enjoy benefits while purchasing from the store as well as save on gas too. If you own a nice gadget you are no longer using, you can trade it in at the store or online for an e-giftCard which you can use for future purchases the next time you shop. At Walmart, you can send e-giftCards to anyone via email so that they can enjoy a movie or go out to eat at a restaurant. With Walmart’s coupon policies, you can easily save some cash because some of these coupons can help pay part of your weekly bills. Considering our daily needs, it might be a bit difficult to save. However, one of the best things about shopping at Walmart is that it is a great place to go if you’re trying to save money. Making use of any of the tips listed above, you can save yourself some money every time you shop there.